Discover the maintenance-free lifestyle you deserve at Lofton Place Apartments in Fort Worth, Texas. We offer an array of one-bedroom and two-bedroom apartments designed with ultimate convenience in mind and housed within a gated community. Each of our apartments features a warm color scheme throughout, as well as a fully-equipped kitchen with electric appliances, ceiling fans, a wood-burning fireplace, and spacious bathrooms. In addition to this, our community amenities extend to a beautiful resident clubhouse, resort-style swimming pools, and a cyber café. We welcome you to become a part of our community at Lofton Place, where you'll find the perfect atmosphere to suit every lifestyle! 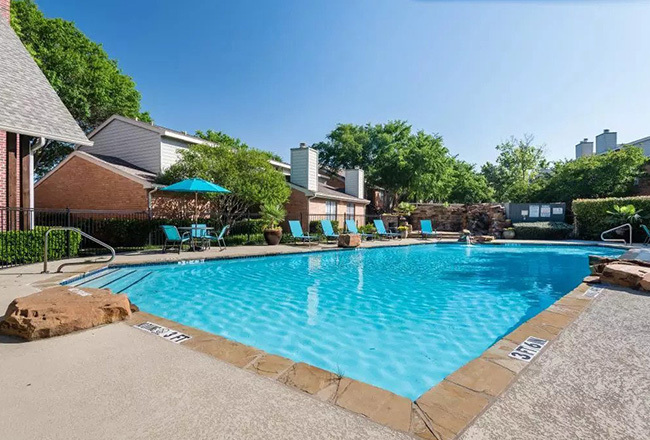 Conveniently located near the Hollow Hills area of Fort Worth, Texas, Lofton Place is minutes away from Interstate 820 and Interstate 30, which positions you near all of the finest dining, shopping, and entertainment in town. As a resident of our community, you'll enjoy a short commute to one of the many excellent schools within the Fort Worth School District, such as Bill J. Elliot Elementary School, Handley Middle School, and Eastern Hills High School. Sample local cuisine at Taco’s Cantu, Catfish Sam’s or Asian Gourmet. Spend a wonderful day with your family at SeaQuest Fort Worth, a unique aquarium with internationally-themed exhibits and interactive experiences. Indulge in a bit of retail therapy at Eastchase Market or North East Mall, where you can find the latest in fashion, home decor, and specialty goods. Enjoy the finer things when you reside at Lofton Place!